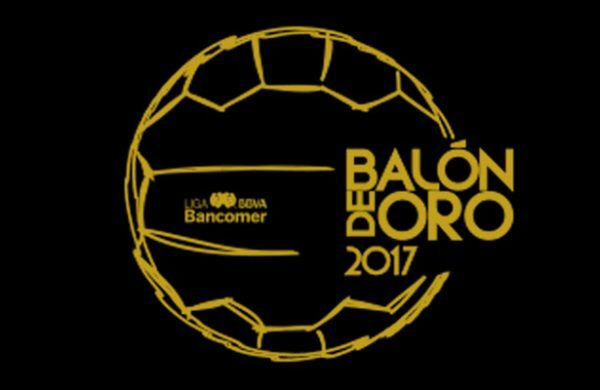 The Liga MX Balón de Oro awards were presented this Saturday at the Shrine Auditorium in Los Angeles. In total, thirteen awards were handed out to recognize outstanding performance in the Apertura 2016 and Clausura 2017 season. Best Goal: Alan Pulido of Chivas de Guadalajara against Tigres UANL in the Clausura 2017 Gran Final. Best Goalkeeper: Rolfodo Cota of Chivas de Guadalajara. Best Defender: Néstor Araujo of Santos Laguna. Best Defensive Midfielder: Guido Rodríguez of Tijuana. Best Attacking Midfielder: Edson Puch with Necaxa. (He moved to Pachuca this offseason). Best Striker: Raúl Ruidíaz of Monarcas Morelia. Best Rookie: Walter Gael Sandoval of Santos Laguna. Best Coach: Matías Almeyda of Chivas de Guadalajara. Player of the Year: Raúl Ruidíaz of Monarcas Morelia. Goalscorer of the Year: Raúl Ruidíaz of Monarcas Morelia. Career: Ignacio Trelles was recognized as “one of the best representatives of Mexican soccer”, with Liga MX honoring him for his long career as both player and coach. The award was accepted for Trelles by his grandson. Siente tu Liga: For someone who “inspires the world of soccer and society in general”, this award was granted to Jaime Ramírez. This entry was posted in Apertura 2017, Liga MX, Soccer and tagged award, balón de oro, fútbol, Liga MX, soccer on July 16, 2017 by Alex.